‘Squaring the Circle‘ describes trying to achieve the impossible. The expression is sometimes used as a metaphor for doing something logically or intuitively impossible. 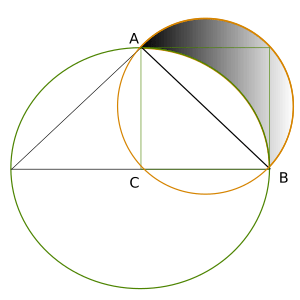 It is essentially a mathematical problem, and until 1882 it was thought that somehow it might be possible with the use of optical illusions through geometry. But in 1882, properties of ∏ (pi) proved that it could not be achieved. Bridge builders share a spirit of what might be possible. It is an act of faith, of believing in the possibility of what you are doing. A belief that our actions actually matter and can make a difference. A vision of what can be rather than what is. I had intended to commence the 10 City Bridge Run on 24 September, and subsequently delayed numerous times for a range of reasons, initially due to funding available. I had planned to be in Seoul right now at the conclusion of the 10 City Bridge run, but instead am still in Sydney. So what happened? I ended up injuring myself through overtraining. I reached a point where I literally could not run. That was disappointing. I followed the advice of good friends and rested, and over the past month since I last blogged I have been stretching, resting, swimming and cross training using high-cardio interval training with weights in the gym. I expect I will be starting to run again in early January. We have all encountered failure at some point. What is important is to pick yourself up and push on. To learn from the experience, and try again. Trying something different to see how it might work out successfully. I reviewed what I had been planning, from the training routine through to what it was I thought could be achieved. The 10 City Bridge Run is tightly focused around child mortality as a lever to help unravel extreme poverty. Please take some time to look at the website and see how it has changed. If it is unclear in any area, let me know. So, can we ‘square the circle’? Maybe not as an exercise in geometry. But the 10 City Bridge Run will proceed commencing on 1 March 2011. Please join me on the global design challenge. I need your help. Together, we can achieve the impossible. This entry was posted in impossible, Innovation, Inspiration and tagged Geometry, Nelson Mandela, Squaring the circle.